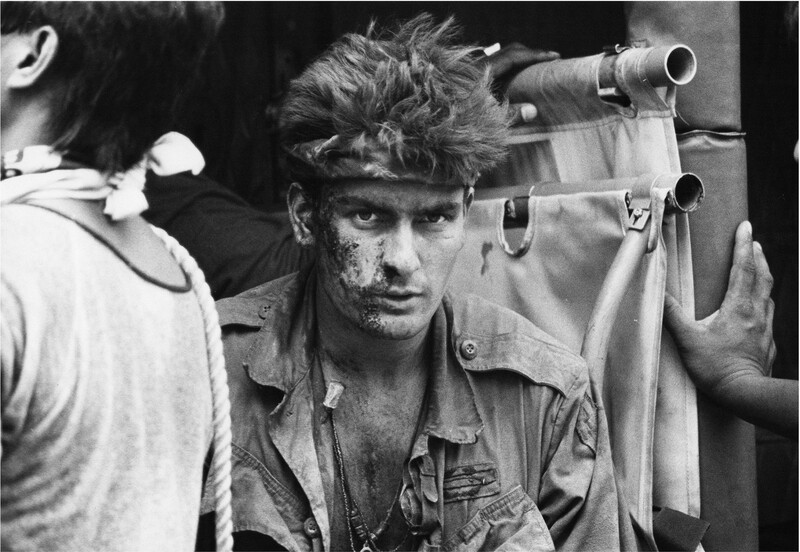 The work »Vietnam (1986)« focuses on the documentary imagery of photojournalism, especially the tradition of com- bat photographers. 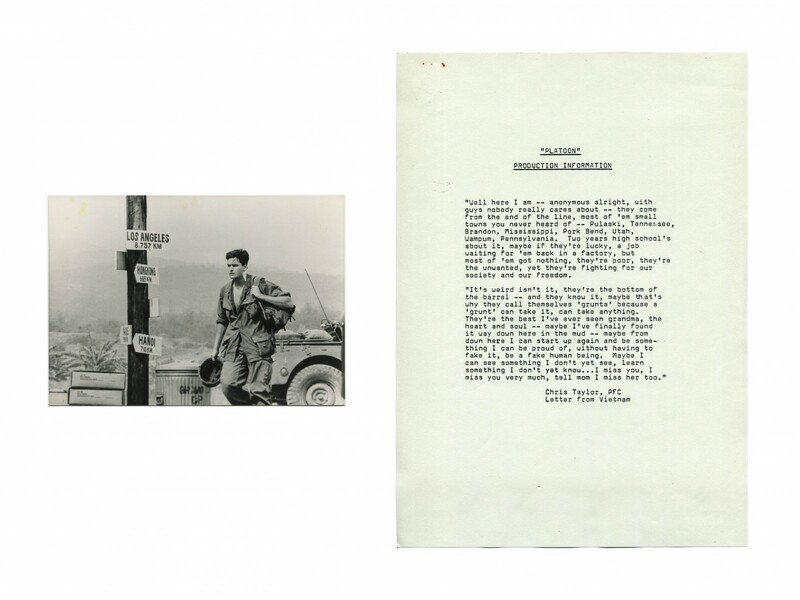 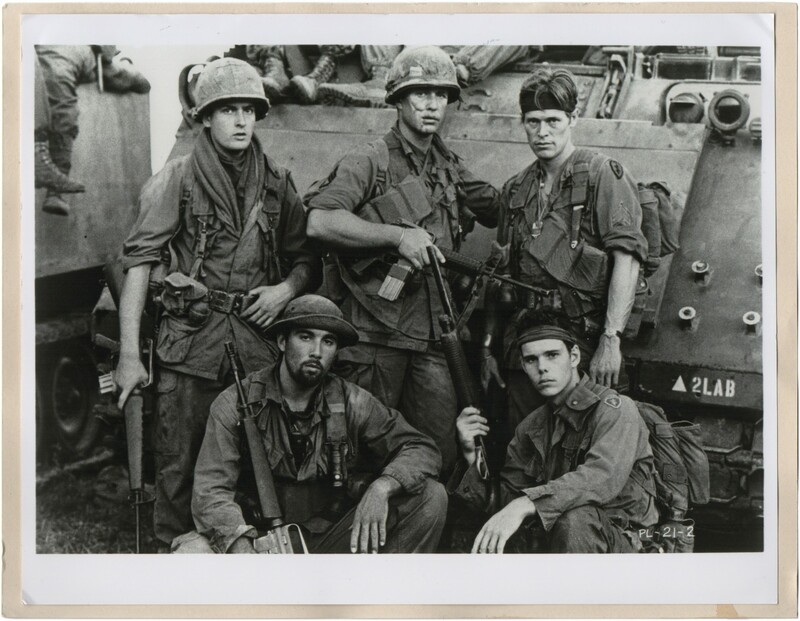 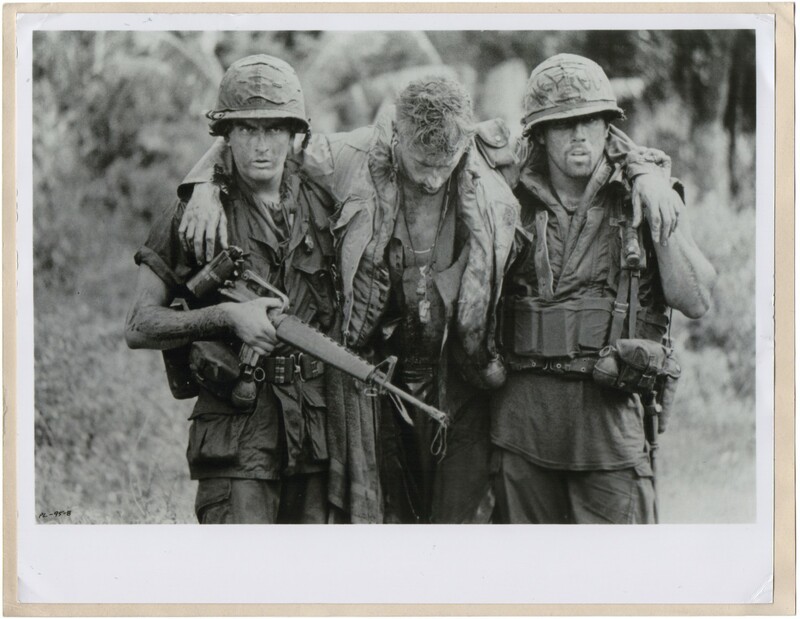 Cinema films about the Vietnam War depicted the historical events – by using a visual style similar to that of photojournalism – and created the modern iconography of men in military service. 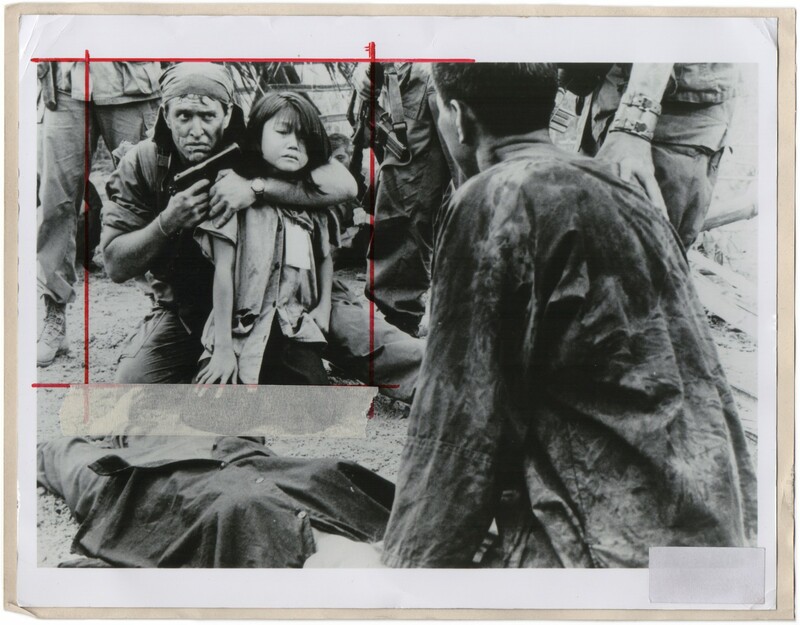 Throughout the years, the documented and fabricated pictures have successively inter- twined with each other, creating an undefined and dissolving notion of reality and history. 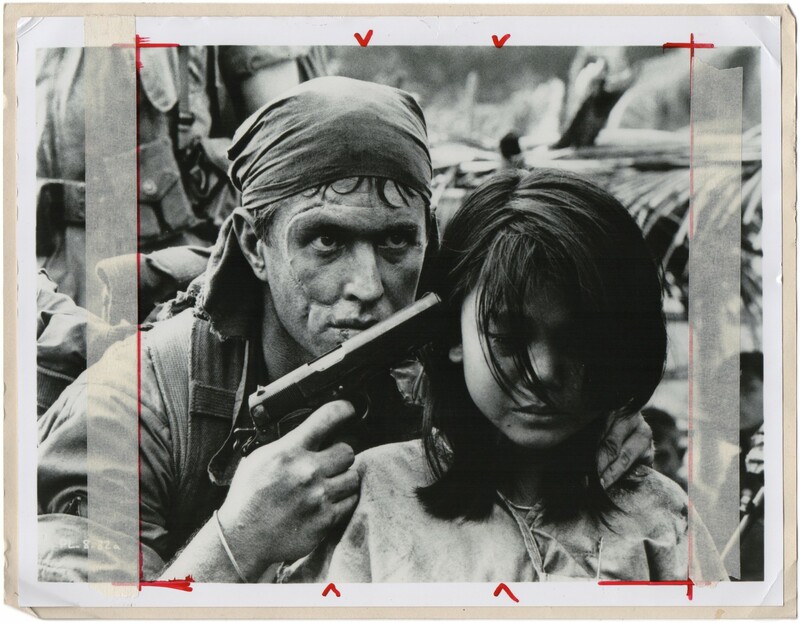 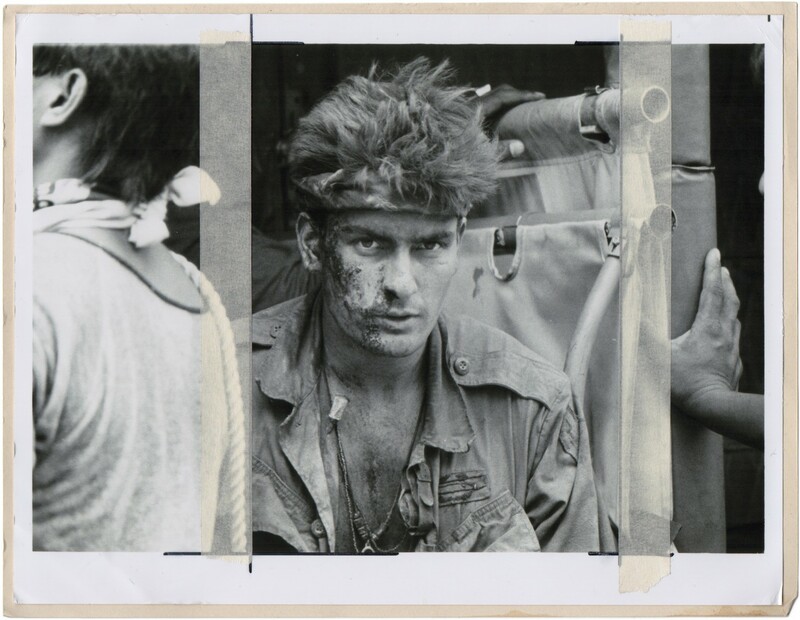 The series of images in »Vietnam (1986)« resembles old press photos in a typical documentary tradition and seems to show the life and events of soldiers in war. 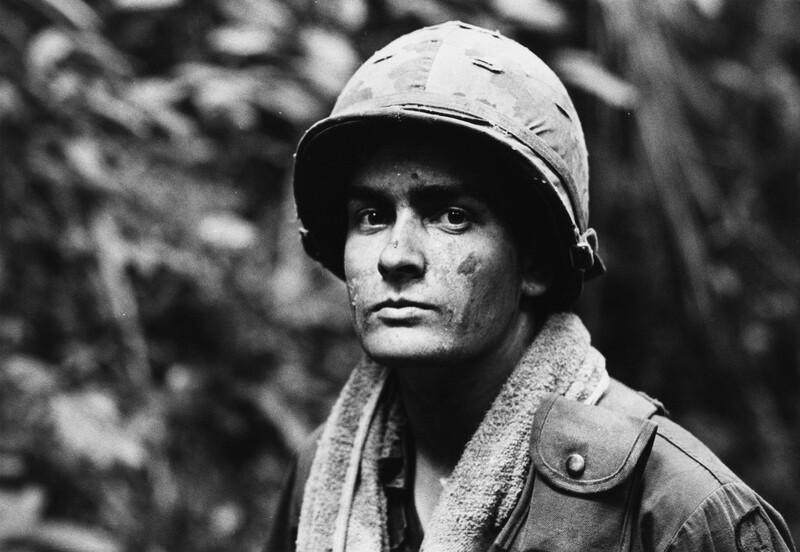 What is actually presented is the cinematic dramatization of Oliver Stone’s experiences of the Vietnam War. 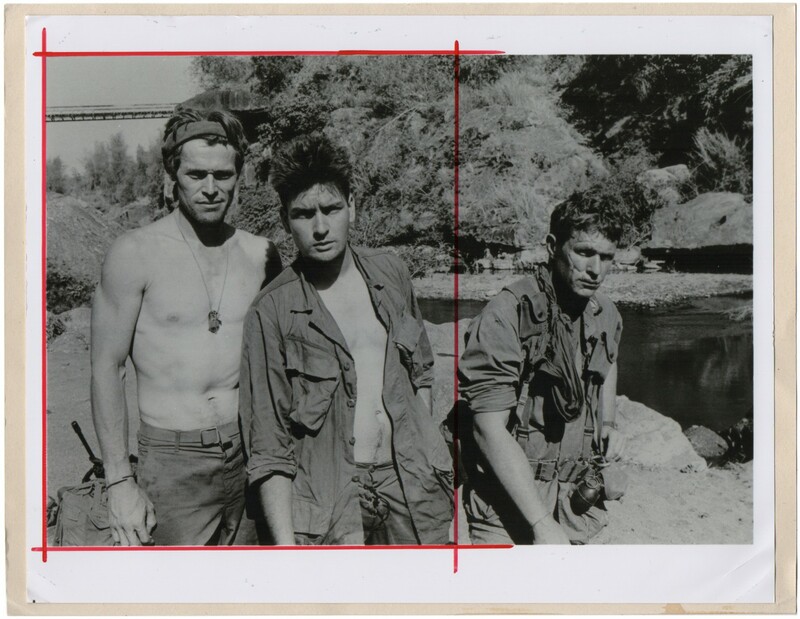 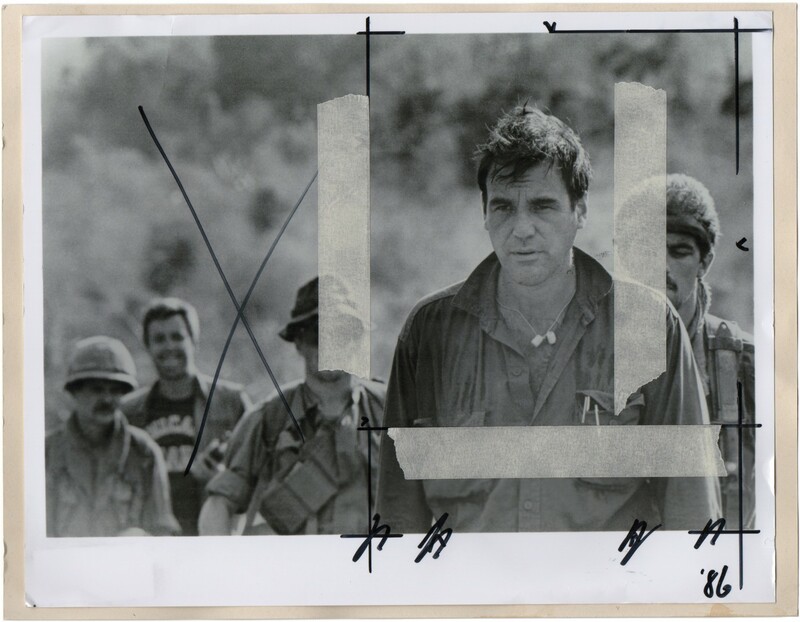 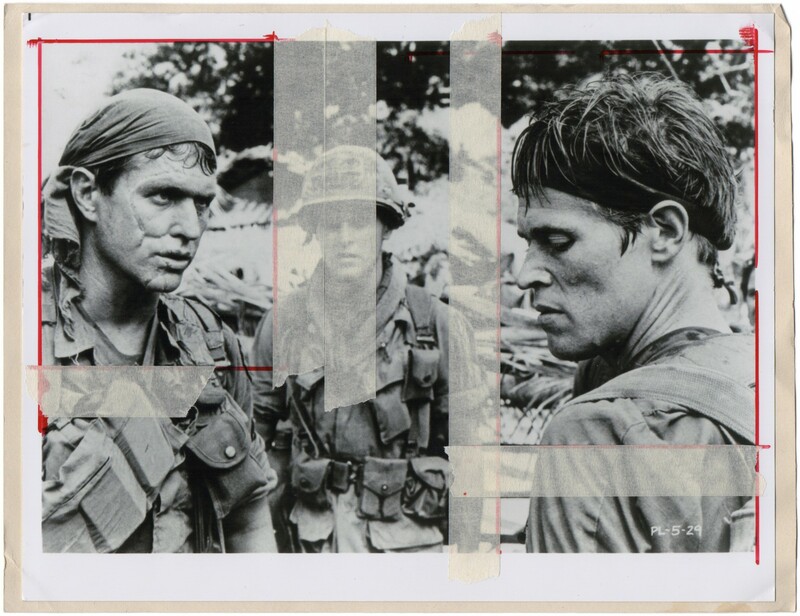 The imagery in Hoflund’s work »Vietnam (1986)« consists of sampled, edited, re-arranged and re-photographed publicity-stills and press photos for the archetypical movie »Platoon« (1986).